The rioting incident was a lesson to the government. The LTA (Land Transport Authority) have arranged traffic measures specifically in Little India. The traffic measures will be implemented every Sunday starting December 29, 2013. LTA hopes to smoothen the operations of private buses with the new traffic measures. Furthermore, LTA is keen on facilitating safer passenger activities along the roads of Singapore. Closing: LTA will implement stricter closing times along Hampshire Road (starting at Rutland Road to the Race Course Road). Originally, the road is closed from 6pm-11pm but with the new measure, it will be from 2pm-9:30pm. Barriers: Apart from the curfew, LTA is putting more barriers along the Hampshire Road. The barriers are effective to facilitate appropriate queuing. 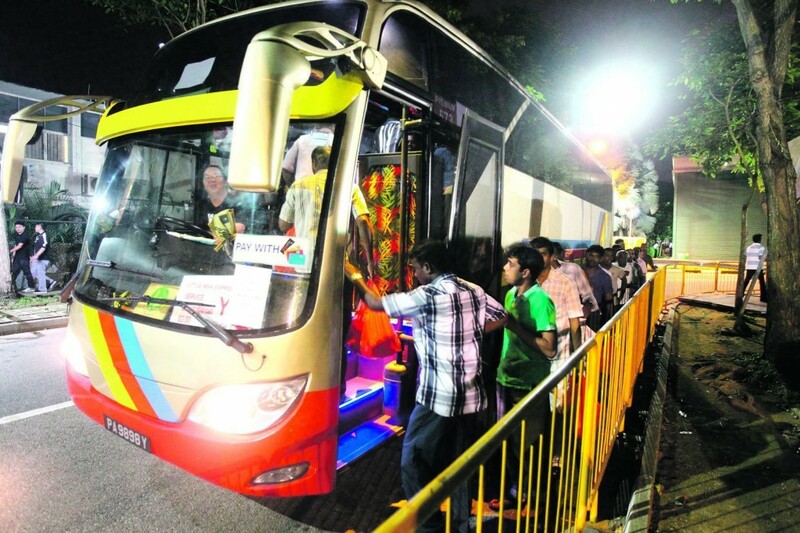 The queuing will be for foreign workers when they take their bus services to their individual dormitories. Barring: Vehicles will also be barred from entering Buffalo Road to Race Course Road. They are banned to enter the road from 4pm-9:30pm. This is the time when the volume of buses are high. Alternative Roads: As for the motorists, they are advised to use alternative roads from 4pm-9:30pm. Motorists can use the Race Course Road and the Kampong Java Road every Sundays. Furthermore, there will be traffic signs displayed to notify and alert motorists. Pick-Up Areas: For private buses, there are two pick-up points designated for the workers. The pick-up points are in Tekka Line and Hampshire Road. You might remember that it was a private bus accident that spurred the riot. LTA reduced the number of the buses to half after the incident. With the new arrangements or measures, LTA hopes that things will be better and safer for the foreign workers.